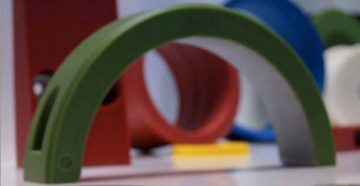 Placing great importance on the testing of engineering materials, the Nylacast R&D department and laboratory are responsible for measuring and proving the physical properties and performance of various grades of Nylacast polymers. 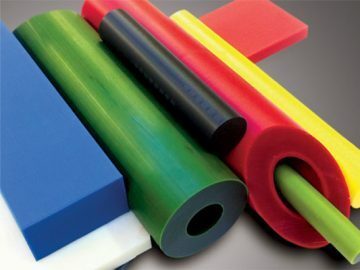 In addition to many other engineering other engineering materials required for customer use, to ensure they meet objectives and requirements for their end use and application. 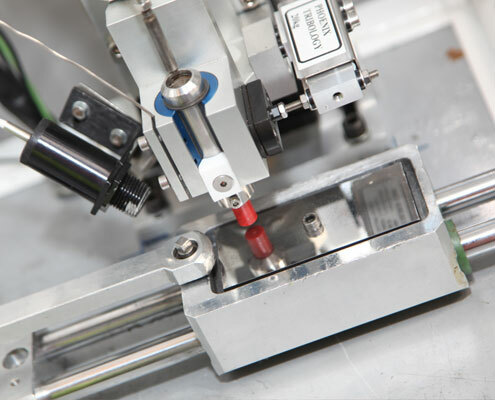 The Nylacast R&D facility has specialised equipment to undertake a standard regime of physical testing in addition to custom testing for more specific applications and needs. The physical testing which takes place allows Nylacast to issue Certificates of Analysis (CoA) when required. The fundamental measurement of material strength. 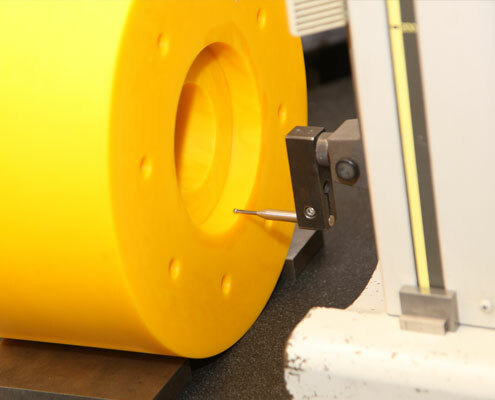 For meaningful industrial comparison, Nylacast uses the standard tensile tests of ASTM D638/ISO 527. 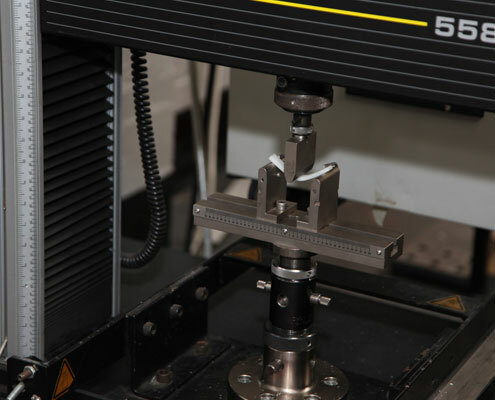 The opposite of tensile strength, in that it measures the materials resistance strength to a sudden force (impact) instead of a steadily applied force found in Tensile Testing. 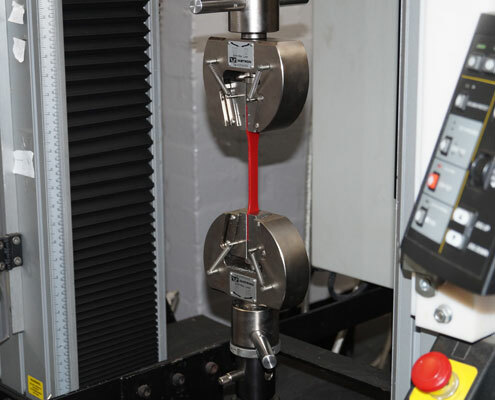 Flexural Strength is a fundamental physical property of a material and is measured on Instron 5580 Universal testing System to BS EN ISO 178:2003. Compressive Strength is a fundamental physical property of a material and is measured to the standards of BS EN ISO 604:2003. 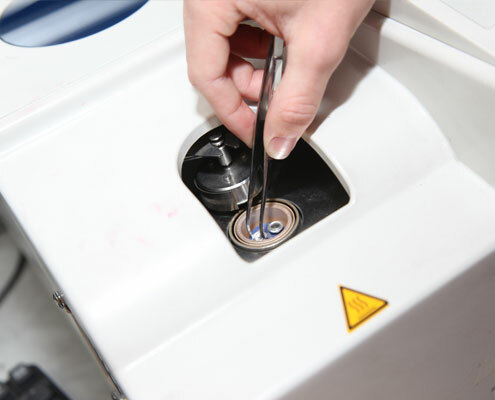 Nylacast conduct Thermal Analysis using small samples for standard Differential Scanning Calorimetry analysis (DSC). 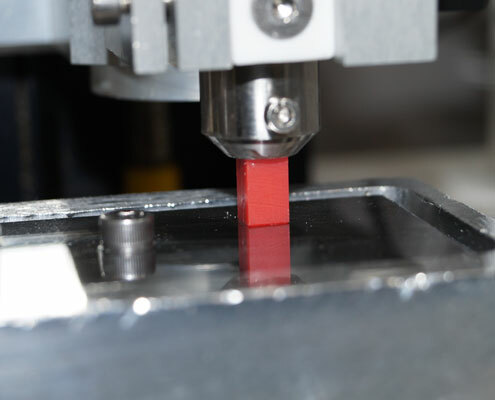 Hardness Value is determined by the use of a Shore Hardness Scale which uses a measuring spike or ball to enter the material sample under a standard load. The specific density of a material is determined by its density in air and then in water by a specialised electronic balance. 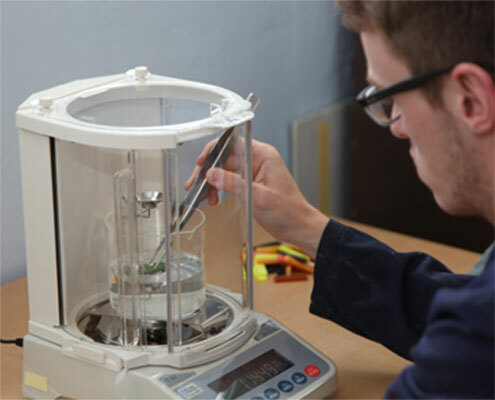 A range of custom tests set up for specific application needs testing materials, components and applications in accordance with mating parts/materials, environments and other specific client requirements.